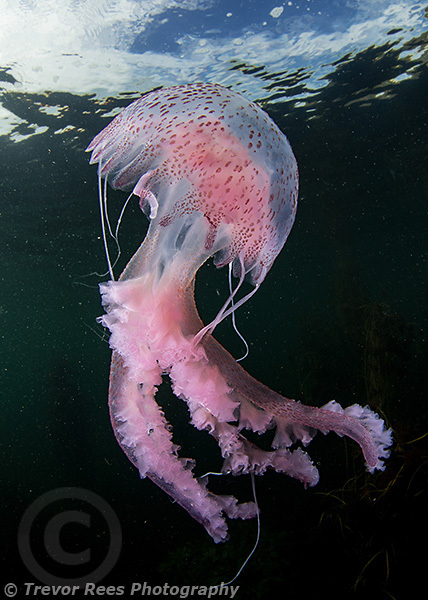 This jellyfish is commonly known as a mauve stinger (Pelagia noctiluca). It was photographed at Malin Beg in county Donegal, Ireland and entered in the wide angle category of the BIUPC competition where is was awarded Highly Commended by this year's judges. The BIUPC is an on the day style completion where competitors have 24 hours to take the best picture they can from anywhere with Britain and Ireland and then submit their best two shots for judging. This year it was held on Saturday 27 August.